Dr. Gwendal Le Grand is the Director of technology and innovation at the French data protection authority CNIL (Commission Nationale de l'Informatique et des Libert+¬s), where he supervises the IT experts department, the IT operations department, the innovation and foresight unit, and the CNIL labs. He participates to the activities of the article 29 Data Protection Working Party (WP29), in particular to the work of the Technology Subgroup, which tackles data protection issues related to new technologies (internet of things, privacy policies of big internet players, cloud computing...). He is a member of the European Privacy Seal (EuroPrise) Advisory Board, and is the liaison officer for the WP29 to ISO/IEC JTC1/SC27/WG5 which develops privacy standards at ISO. 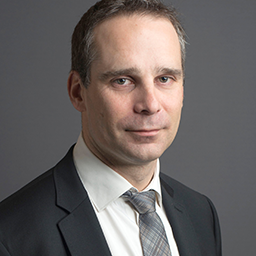 Before joining the CNIL, he worked as an associate professor at Telecom Paristech, Paris, between 2001 and 2007, and he participated in several european and national research projects in the areas of security and networking. Gwendal Le Grand received his PhD in computer science from the University of Paris 6 in July 2001.